As part of my internship through the Erasmus + program at the “Image in Travel” travel agency, my tutor proposed a work that consists of research and reflection about the traditional food of Portugal and the traditional food of Bulgaria, and then relate a comparation between them. 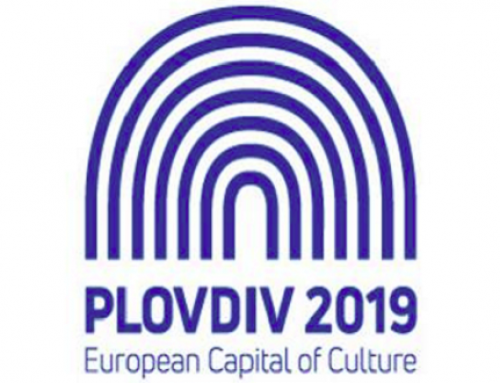 However, I will also present 5 similar things between Portugal and Bulgaria, for to have a notion that as different countries they are, there are also some things in common that can bring them together. I hope to be able to present everything clearly and I will try to be as soon as possible for a good job. 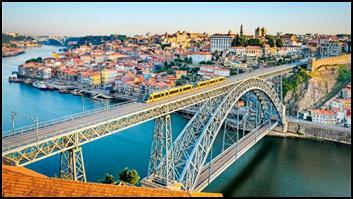 Portugal is not only known for yours beautiful beaches and historical and cultural monuments, but also for theirs huge variety of traditional dishes. The gastronomy is great, very rich, diverse and full of good ingredients. I will then present what are the most common dishes of this beautiful country. 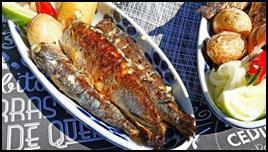 The Portuguese people consume many fish, seafood, olive oil, olives, vegetables and very elaborate foods. The restaurants have a varied choice of appetizer, soups, main course and desserts. In relation to appetizers, the most common are alheiras, cheeses, bolinhos de bacalhau, pataniscas, presunto, pate, orelha de porco, octopus and without forgetting the bread. 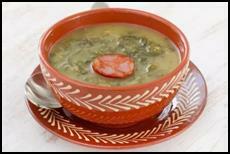 The most traditional soup is the Caldo Verde. It is made with olive oil, kale, potatoes, salt, onion and garlic. You can also add meat if you like. This dish is typically served at parties such as weddings or birthdays. 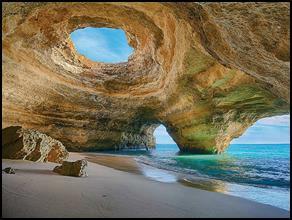 The Portuguese enjoy soups of all kinds: with meat, vegetables, bread crumbs, eggs, fish. Some, alone, are a real meal. 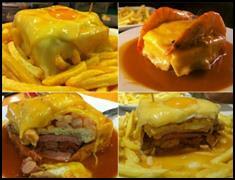 The more traditional main courses are the Francesinha, made with meat, presunto, sausages and linguiça. It is topped with cheese and a unique sauce, goes to the oven and is usually served with an egg and chips. Besides this, the Portuguese love codfish and like to prepare it in many ways. 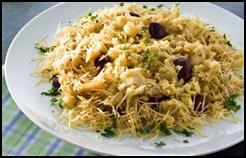 For example, Bacalhau à Brás consists of codfish, fried onions, olives, scrambled eggs, chopped parsley and chips. 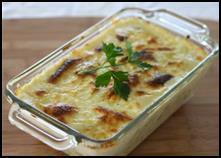 Bacalhau com Natas takes codfish, cream, chips and onions. 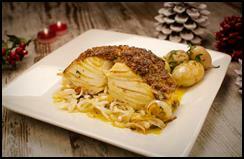 Bacalhau com Broa includes ingredients such as codfish, potatoes, crumbs of broa, onions and garlic. We have too the Cozido à Portuguesa that it takes beans, potatoes, kale, turnip, carrot, various types of meat and chouriço. A super traditional dish from Portugal. 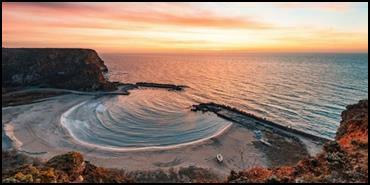 The sardine is the main fish of Portugal. Very present at the feasts of São João and Santo António, they are cooked on the grill and usually served with roasted green peppers and boiled potatoes. Broa is a type of bread typical of Portugal. It is usually served as a starter of the meals or else it can be grated over fish like codfish. The most traditional Portuguese sweets are the Pastéis de Nata, better known as Pastéis de Belém, the Queijadinha and the Quindim. 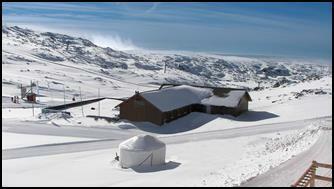 The wines are also quite characteristic of this country, having many qualities of wine. 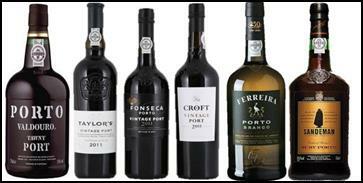 The Porto Wine is considered one of the best in the world and is produced in Portugal. In addition to this, they are also very good the green wine, white wine, red, green and rosé. 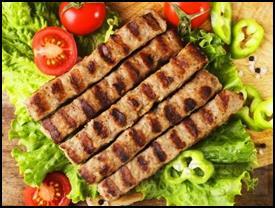 The Bulgarian food is delicious and varied and tourists usually enjoy it very much. But when you are in another country, however good the local food is, not knowing what to order at a restaurant can ruin the experience. 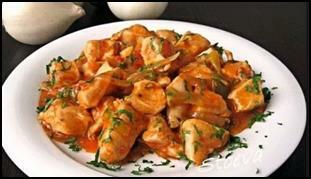 For this reason, I will present some main dishes of the Bulgarian gastronomy. I have to remember that each region has its own versions, so the ingredients or the preparation method may vary. Bulgarian cuisine is colorful and diverse. 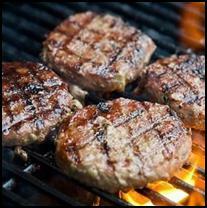 In some places recipes have been passed down from generation to generation and have remained unchanged for hundreds of years. The recipes include a large number of vegetables and spices, among which are garlic, black pepper, thyme, spearmint, savory, bay leaf and paprika. 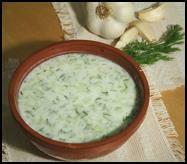 Tarator is a typical soup, which contains yogurt, cucumber, water, garlic, walnuts, parsley and a little olive oil. It is usually served cold in a bowl which helps to pass the hot summer days. It is considered an appetizer that is served only, to be drunk. 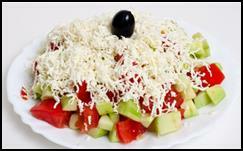 The Shopska salad is the most famous based on tomato, cucumber and cheese, which means the colors of the Bulgarian flag. 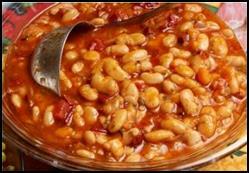 The Bob Chorbá is the bean soup, pinto or white, which usually also has tomato, mint, onion and carrot. Kebapche (minced meat sausages) and Kyufté (spicy meatballs). Kavarma: It’s a plate of roasted meat and vegetables. 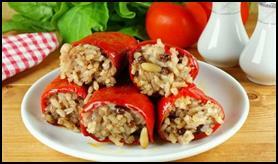 Palneni Chushki: Peppers stuffed with rice or cheese, fried or baked. There is also a non-vegetarian version, stuffed with minced meat. 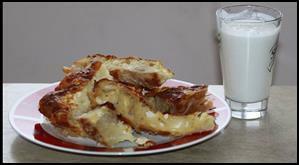 Banitsa is very traditional bread in Bulgaria prepared by several layers of eggs and several pieces of hard and salty Bulgarian cheese, between dough and then inserted in an oven. 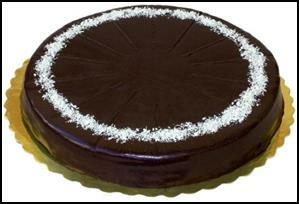 Garash cake is a type of chocolate cake that is very popular in Bulgarian cuisine. 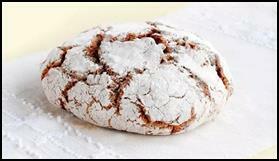 In their country of origin it is common to find in bakeries and restaurants. With a delicious and delicate flavor is made with eggs, nuts and chocolate. 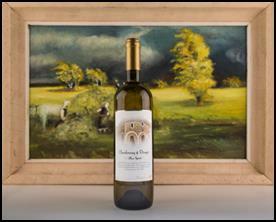 Among some of the most traditional Bulgarian wines we have the Cherven Misket, the Dimyat and the Pamid. After these demonstrations of traditional Portuguese food and traditional Bulgarian food it can be said that there are differences between them. 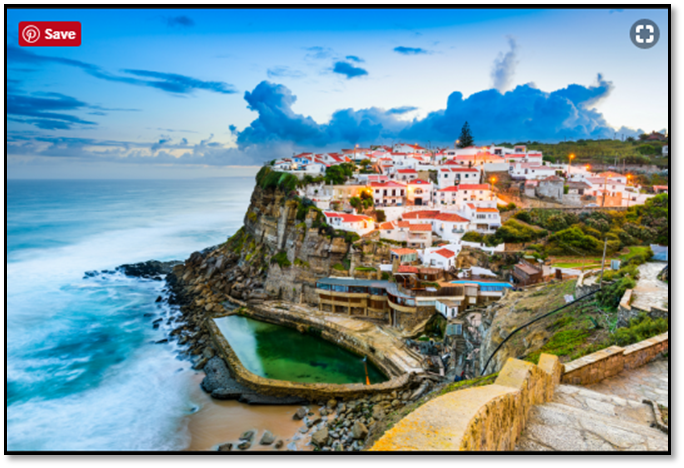 Portuguese cuisine has traditionally more elaborate dishes with many ingredients, where the fish can’t be lacking. In the traditional Bulgarian food the dishes are more practical and with less ingredients, more meat based and mainly vegetables. However, one can’t value more than the other because each country has its traditions and both are delicious. I can start by telling you that there are some words that are the same in both countries and with the same meaning, such as: goodbye, ticket, bravo, super, etc. In both Portugal and Bulgaria, there is a large number of people who own gardens. Potatoes, tomatoes, peppers, cucumbers are grown and artisan families produce jams such as pickled cucumber, jellies and fruit in syrup for the winter. In both countries they also produce homemade wine. Artisan and local production is a source of great pride for people. 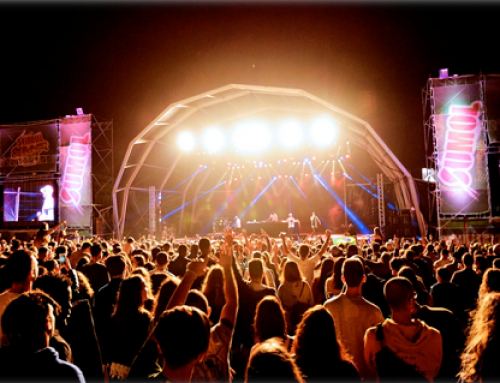 In relation to music and dance, folklore is the traditional dance of Portugal and Bulgaria as well. Besides being a time travel are one of the most interesting parts of the culture. 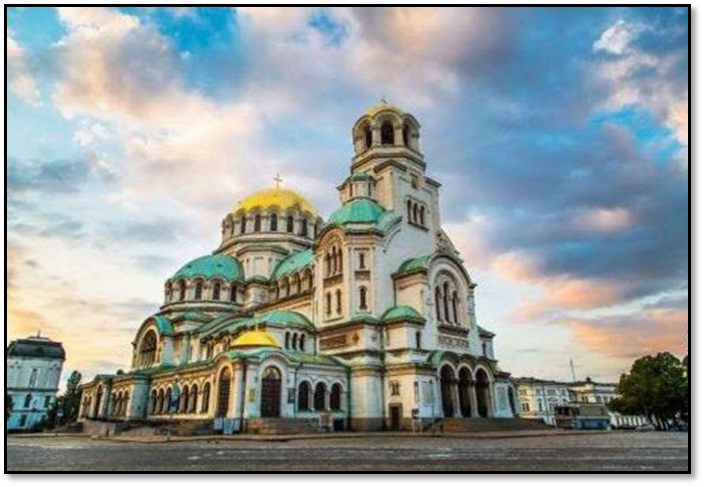 Like Portugal, Bulgaria is a religious country and most of the population of both countries follows the calendar schedule of the Church. 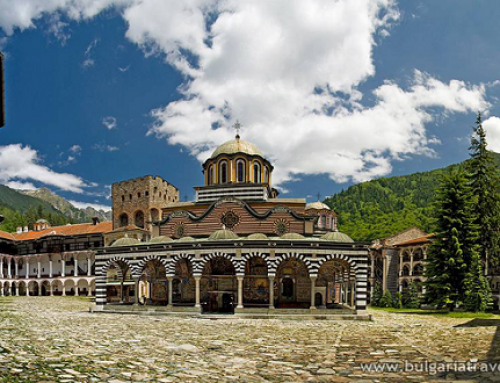 Bulgaria has year-round tourist attractions as well as Portugal. 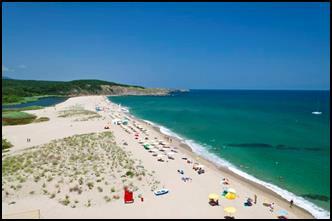 In Bulgaria, in the summer season, visits to the beautiful beaches of the Black Sea are frequent and in Portugal, they are the beaches of the Algarve. In autumn and spring in both countries, the various historical and cultural monuments, historic towns and villages and mountains with wonderful views are visited regularly. 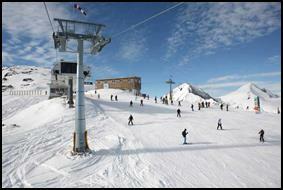 In winter, for those who enjoy a lot of snow or for those who practice winter sports, Bulgaria and Portugal have some mountains or ski slopes for those who love to be in contact with the snow. Without forgetting that the prices of hotels and restaurants of both countries are reasonable and cheaper compared to other countries of the European Union.